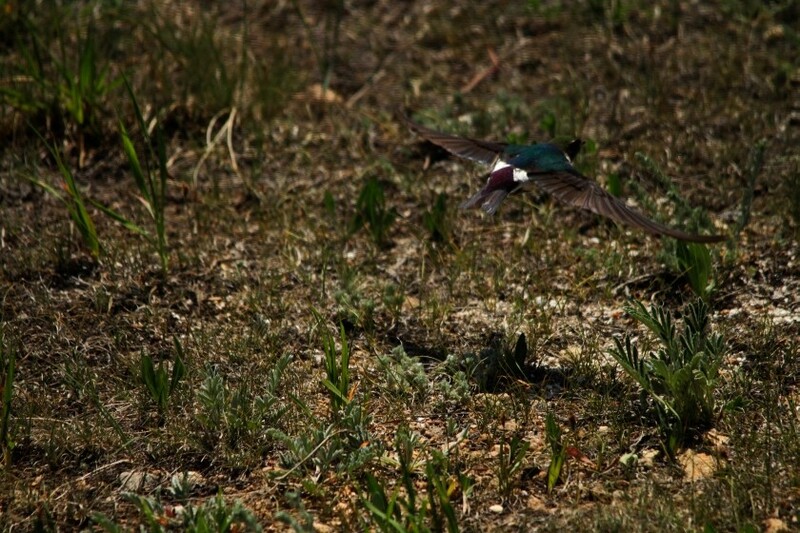 2013-06-21 Here's a lucky picture of this violet-green swallow right as he was taking off. I really like the coloration on his back. Seen at the Sheep Lakes, Rocky Mountain National Park, Colorado.